If you’re calling our support team, then Michael is one of the friendly voices you’ll hear on the other end of the phone. With a positive attitude and commitment to giving you the very best advice, Michael love making life for P1 clients easier with technology. 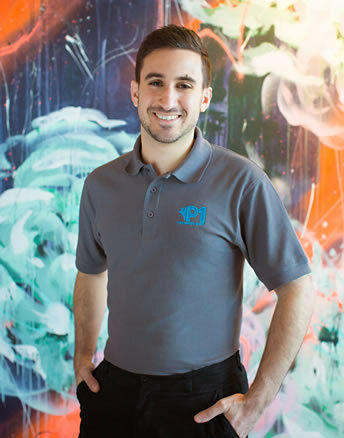 Michael is responsible for delegating incoming work so if he can’t help you fix an issue, he knows exactly which team member is the best at solving your particular problem. He’s well equipped to help our clients determine the best hardware or software for the job, especially when it comes to building or buying computer equipment. And he’s always on the lookout for ways he can improve business efficiency (like the time he transitioned a client from using spreadsheets to using a job management application that made things much quicker and easier). Michael was always into video games as a kid, so it’s not surprising he’s ended up in IT! He also loves running, socialising with friends, public speaking and playing board games.